Draftermax is your source for drafting services, including architectural drafting, shop drawings, and 3D renderings. 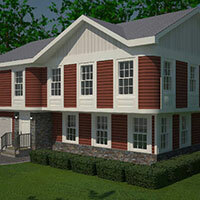 We have a versatile team of 15+ draftsmen who specialize in creating accurate plans and beautiful renderings. So regardless of your demands, you can count on Draftermax for a precise, picturesque product. Plans, elevations, details, as-built drawings, commercial properties, and residential buildings – if you need any drafting, we have the draftsmen for the job. From concept to construction, we can provide you with any and all drawings that you require. 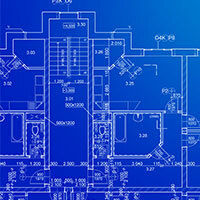 So whether you need blueprints or a conceptual rendering, we can help. We specialize in creating as-built drawings for existing buildings. As-built drawings may be necessary if construction processes have modified the initial plan, or if the original building drafts are damaged or completely missing. We’ll visit your site to capture all of the measurements of your building, and then it’s off to the drafting table to create new, as-built drawings. 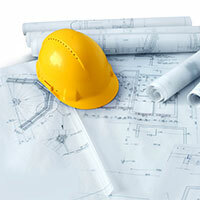 We provide shop drawings for all sorts of industries. We work closely with millwork operators, stone and tile shops, steel mills, and other businesses to provide the detail drawings necessary for construction. Our sections, elevations, and details are accurate and legible, ensuring that your project can be built without a hitch. Our 3D renderings breathe life into a design. With our 3D renderings, you can gain a new perspective on the scale, texture, and beauty of your project. We create 3D renderings of buildings, furniture, inventions, you name it. We collaborate with artists, architects, designers, realtors, and inventors to craft 3D renderings that serve as a design tool, a sales tool, and a tool to inform the concept of your project. Draftermax is a firm synonymous with good design. We’ve been operating for eight years, and have a dozen skilled draftsmen and designers. We strive to provide our clients with the best customer service, an unparalleled product, and a quick turnaround. 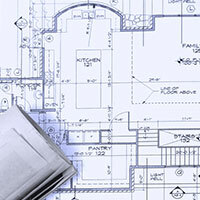 Try Draftermax yourself, and find out why we’re the premier Brooklyn-based drafting firm. If you’re ready to get started, or if you’re curious about our services, you can get a free quote or get in touch!